Ace server to libero know the importance of hard work and dedication. Recognize your champion athletes with Volleyball Medallions from newline for achievements on and off the court. 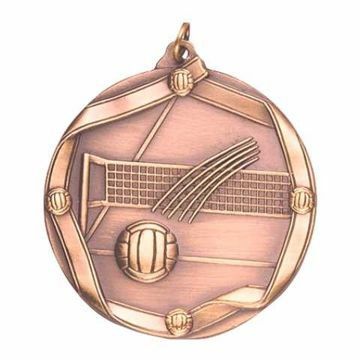 Volleyball Medals come in gold, silver or bronze - include engraving and choice of neck ribbon color.